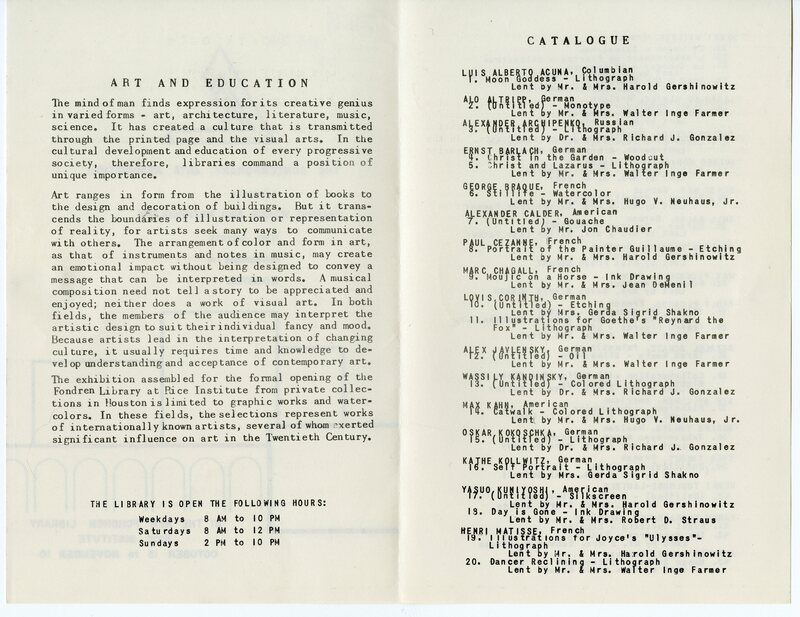 I was looking for something yesterday in the Fondren Library Papers, which inevitably hold something of interest even when I don’t find what I’m looking for. What turned up this time was astonishing–I still can hardly believe it. 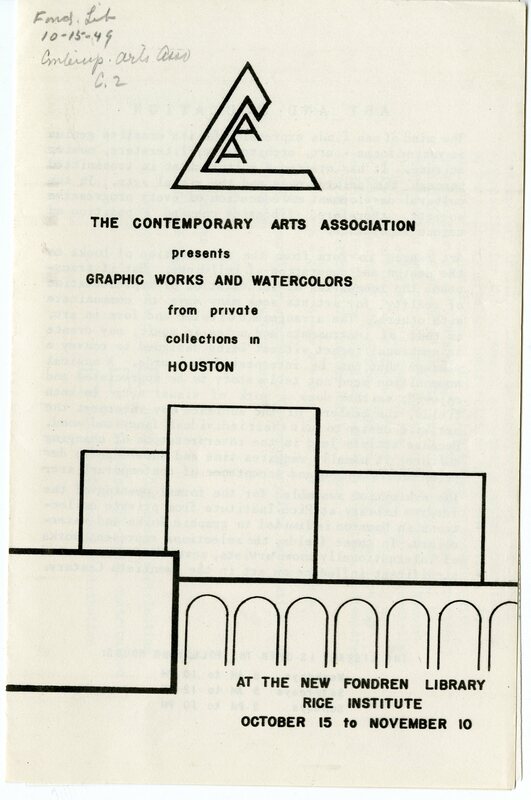 It’s the program for the first exhibition ever held in the library and it was an ambitious one. I believe it was in what was then called the Lecture Lounge, now the Kyle Morrow Room. 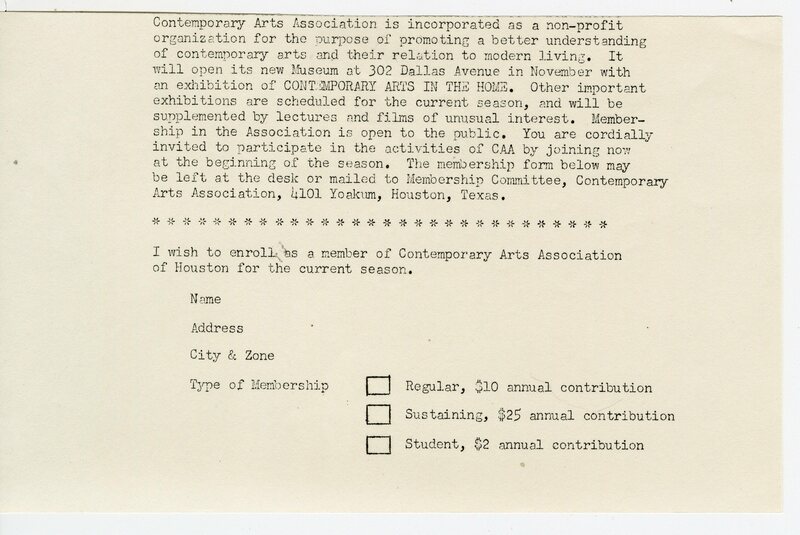 This is so early in the history of the Contemporary Arts Association that it must have been among the first handful of exhibits they ever organized as well. Bonus: I used the microfilm of the old card catalogue this afternoon. It felt very good. 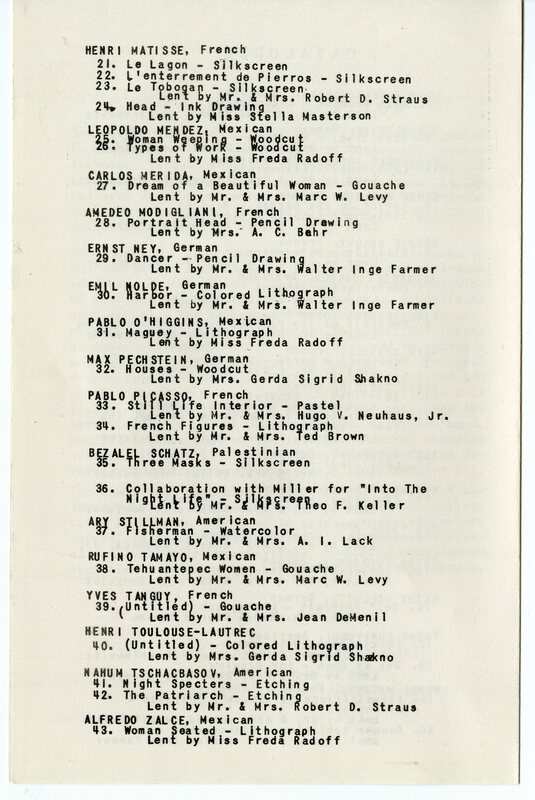 A microfilm of the card catalog! Old technology capturing older technology! I hadn’t thought of that but you’re exactly right. It was surprisingly enjoyable. 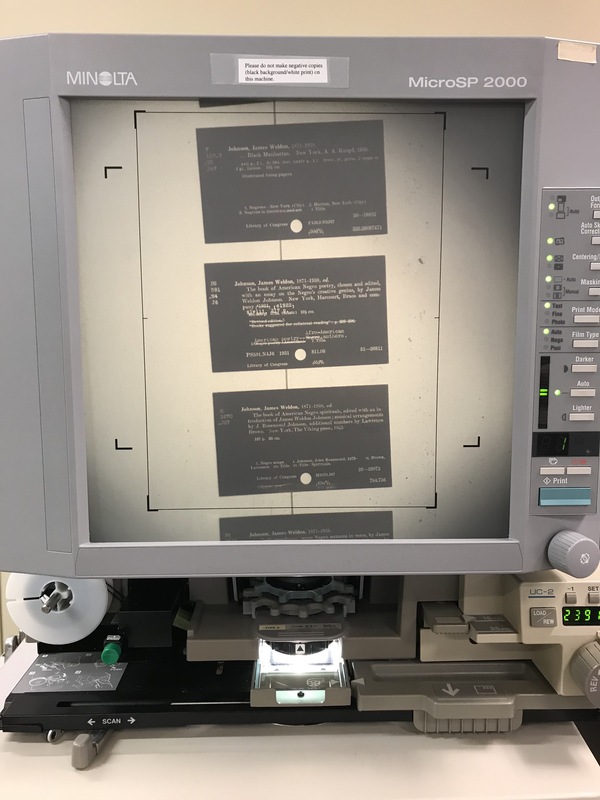 Debbie: Of course it’s even better: a digital photo of a microfilm reader image of a card, three generations of technology! I still believe throwing out the cards was a terrible error. You got that right. And who got the cabinets? I have no idea. I can tell you with some unearned satisfaction that whoever was in charge of the Woodson at that time never got rid of our cards. They’re still in boxes in the basement. Wow! That’s quite a “Who’s who”! wow, what a list! The art and the owners! Thanks for sharing.